Vaping is the inhalation of vapours from an e-cigarette device. The vapours, which resemble a light fog, contain nicotine in a base of PG or VG or both. It is a much healthier substitute to smoking, as validated by several studies. One such study shows that second-hand vapour includes less nicotine compared to paper-rolled cigarettes since it does not have any combustion-related toxins present in the vapour. Although vaping provides the same sensation as smoking does, it is not, and will never be smoking. 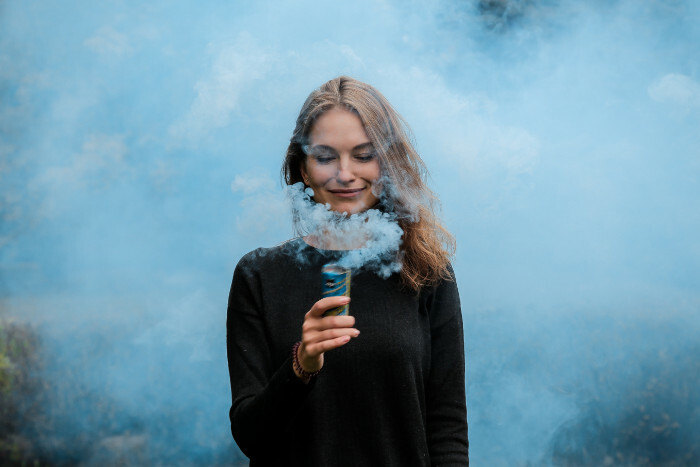 It is a form of vapour mixture which the e-cigarette produces when it is heated, giving the same satisfaction as does a commercially-rolled cigarette. Moreover, compared to a combustible cigarette, a vape user can control the amount of nicotine he or she is ingesting. That, if they want nicotine, otherwise numerous nicotine-free vape juices are also available. Most people who started vaping as an afterthought to conventional smoking gradually picked up the habit and eventually stopped smoking commercially rolled cigarettes altogether. Vaping is a fascination that thrives on its wide array of flavours and combinations for its consumers to relish. Many credible brands have created several unique and novel flavours, such as cinnamon to lemon to even a breakfast cereal taste. These can be bought from a number of e liquid suppliers. One example is Vapers WAREHOUSE who have high-quality e liquids for affordable prices, from bakery to cereal! Once you become familiar with various flavours and the art of mixing and matching, you can start to observe trends in the vape juice market. These trends are set by seasoned vapers who develop a liking for particular e juices and initiate cyber commentary about it through forum sites like Reddit. Irrespective of what the mainstream vaping communities are saying, it is always admissible to trust your taste buds by adopting an e-liquid range that compliments your satisfaction to the core. Paper-rolled cigarettes leave behind an awful aftertaste and odour for the smoker and their better-half. Conversely, vaping does not leave behind an overbearing smell, and in fact, the vapour is sweet in character. The former leaves smoke residues down in the throat and lungs, where these particles meander and leave behind bad breath. Additionally, the lingering chemicals inside a smoker’s mouth contain aromatic hydrocarbons, which are carcinogenic. In simple terms, they can potentially cause cancer. Specifically, pyrazines and pyridines left behind are the chief culprits, but the fact that they dry out the mouth’s palate extends the stay of bad breath. It also makes the smoker vulnerable to anaerobic oral bacteria. Several studies have associated smoking with rapid ageing. Therefore, it is not a coincidence that chain smokers with thousands of paper-rolled cigarettes under their belt often look several years older than their biological age. A study of twins conducted by the Department of Plastic Surgery at Case Western Reserve University concluded that twins who smoked showed clear signs of ageing, including wrinkled lips, baggy eyes, and jowls. Alternatively, these signs were not as visible in non-smoking twins. By alleviating your risk of cancer, impotence, and heart disease, you are also contributing to the 55 billion tobacco health industry, which includes healthcare cost, missed work days, and more critically lower productivity at work. A conservative estimate projects that smokers cost organisations an extra of up to $6000 per year in comparison to non-smokers. It is because smokers take more breaks, sick leaves and also pay more for life insurance policies as well as healthcare. It may not be a surprise if more companies start singling out combustible tobacco users in the job application process. Smoking paper-rolled cigarettes is an expensive habit today. A mere dozen years ago, you could buy a pack of cigarettes for just over £4 in the UK. Today, a quality pack of cigarettes will cost you close to 10 quid. The price hike is primarily attributed to the state level endeavour to discourage the public from smoking combustible cigarettes. After incurring the initial hardware cost on the starter kit, cartomisers, and batteries, your monthly e-liquid cost would literally become 1/10th of your smoking cost.